A very efficient oil-filled radiator. It helps when there is a need to heat up a room where there are no heaters or the ones that are there are not efficient enough. 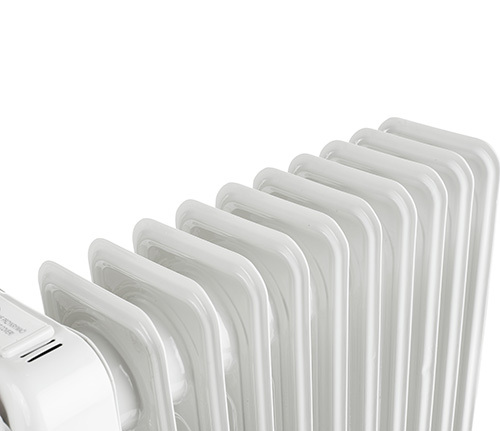 It is indispensable when there occurs a breakdown of the heating system. 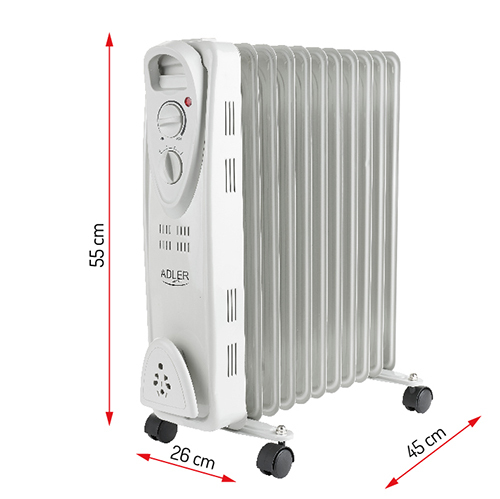 The radiator gives the possibility to regulate the temperature. For safety the device is equipped with an overheat protection. The radiator has an elegant shape thanks to which it does not visually bother when placed at home or at the office where guests or customers come by. 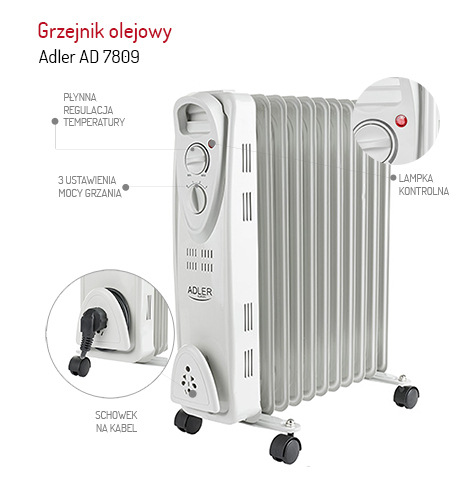 The oil-filled radiator AD 7809 has 11 fins and is rated at 2500W. 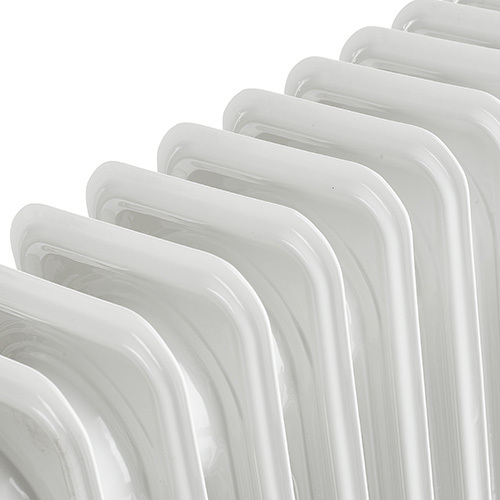 Are you constantly cold and feel that you have too few radiators at home? Are you irritated by draughty windows in the workplace? 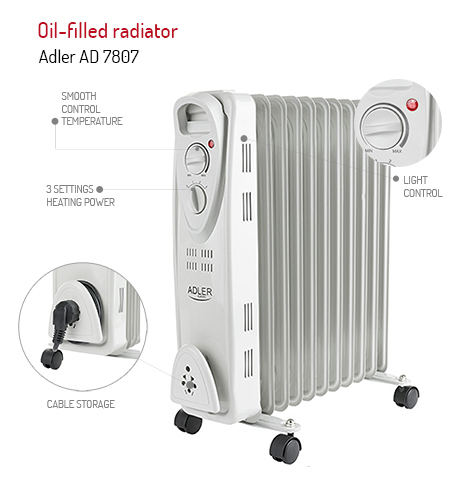 Elegant and efficient oil-filled radiator ADLER AD 7809 will work in the bathroom, living room, bedroom, as well as in the office or garage, that is, wherever an additional source of heating is required. The possibility of smooth temperature control and 11 fins will help everyone find the ideal setting for the heating power adjusted to their own preferences and size of the heated room. 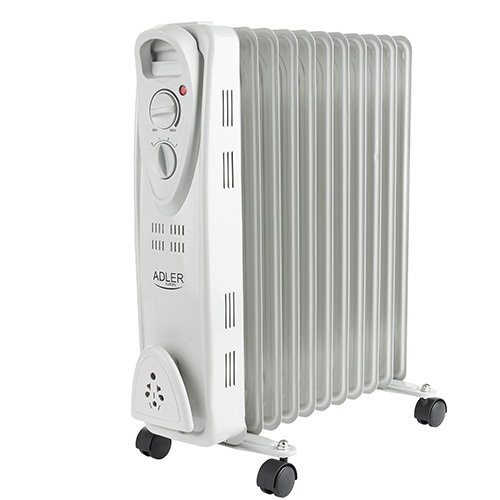 The radiator is equipped with protection against overheating, so using it is extremely safe and does not require your constant presence in the room. You can even put it in the child's bedroom! 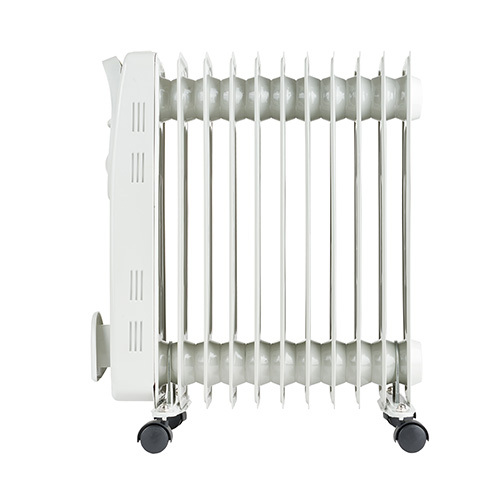 The big advantage of our product is not only the stylish design but also the practical built of the radiator. An indicator light will signal the operation of the device that allows you to control its work also at night. 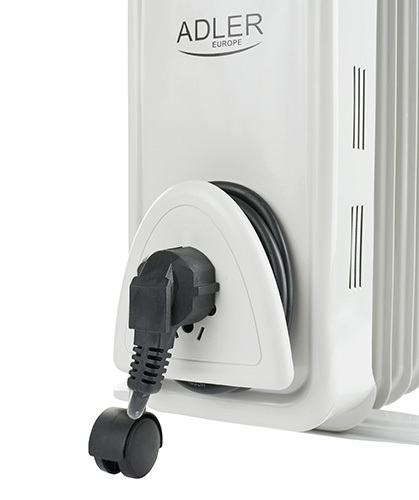 The small weight of the radiator (a little over 4 kg), cable storage, a large carrying handle and elastic wheels make the radiator not only practical but very easy to carry between rooms. 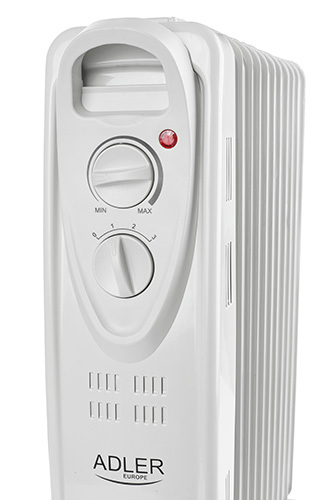 It is a big plus for a portable heater and you do not have to worry about scratching the floor! The thermostat and on-switch control knobs in the visible and easily accessible place allow you to turn on, set and turn off the device in a few moments!